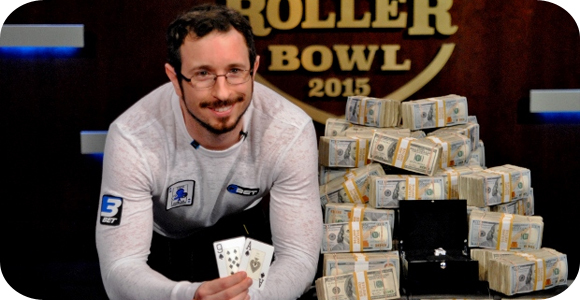 The Super High Roller Bowl, as well as the Celebrity Shootout poker tournaments took place recently at the Aria Resort & Casino in Las Vegas, and even though we can see the end results online, it is much better to see the action play out. This is why the television station NBC has decided to broadcast both events. The buy-in for the High Roller was set at $500,000, with a total of 43 participants, where first place winner would take home $7,525,000. There are some famous players involved, including Andrew Lichtenberger, Antonio Esfandiari, Daniel Negreanu, and Brian Rast, and many others; there were even a few hedge fund managers. As you can see, there will be many different opportunities and times you can watch both of these great tournaments, so don’t worry about missing any of the action. We will not spoil the fun for anyone who wants to watch the poker tournaments, but for those that want to see the results can check them out here.